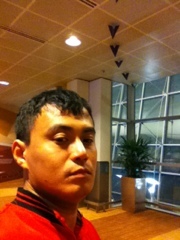 I'm right now at changi airport where this used to be one of my hideouts if I need some simple peace of mind. It still is and that looking through the window, makes me want to be back free.. Going places, flying to many destination and exploring places despite with the least of budget. Gone were the days and I still miss this place for this is where I spent the best time of my childhood days, at Tanah Merah Besar... Now a condo. I had many fond memories, and of those friends I have left behind. Still, this is a part of me.